Sunday morning, time for the Koh Samui, Thailand weekly weather update; 29th October – 4th November 2018. Sunday morning run done in Khao Lak but my calves still feel sore from last weeks run in Phuket. 4.5km up and down a steep hill! It's partially cloudy but dry at the moment on Koh Samui. I do expect some rain later today though. 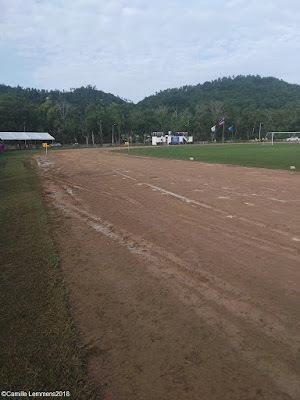 Koh Samui, Thailand weekly weather update; 29th October – 4th November 2018; The sports track at Baan Namuang at the local Koh Samui stadium. The track is now under construction, so I'm not sure what the plan is. Will there be a new track and if so, what kind of surface will be used. 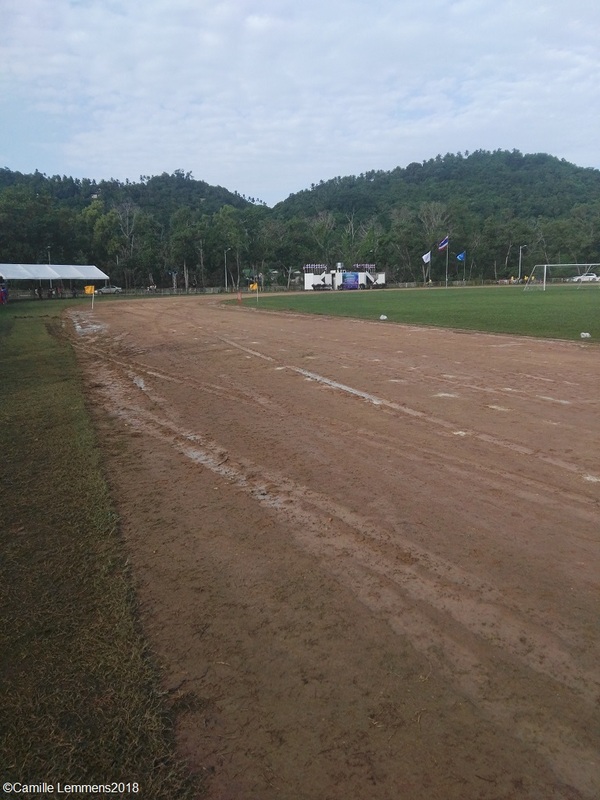 Plenty of local Samui runners used this track for their training, but it's really far away from where I live. Wish it wouldn't be so far away and I would use it as well. Last week on Koh Samui had maximum temperatures of 24C and the lowest Celsius we had was around 25C. Most days last week there was rain though, at some stage during the day and yesterday afternoon and early evening there was plenty of rain. The local hot spots saw some flash flooding and yesterday evening some areas had power cuts. For this time of the year, nothing unusual, although we can do without the power cuts. 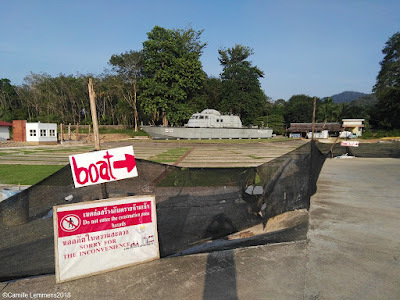 Koh Samui, Thailand weekly weather update; 29th October – 4th November 2018; The 813 boat in Khao Lak. Every time I visit Khao Lak and teach a PADI IDC, I always drop by to see how things are with and around the boat. It has changed drastically over the years and once more, construction is going on. We'll see around March how things have panned out for this 'upgrade'. It's still is and hopefully will remain an amazing reminder of the 2004 tsunami. The coming week can be very nice, almost untypical November nice, until around Thursday. From Thursday onward expect plenty of rain and possibly for a couple of hours on an end with short breaks. It looks like the rainy season is closing in.